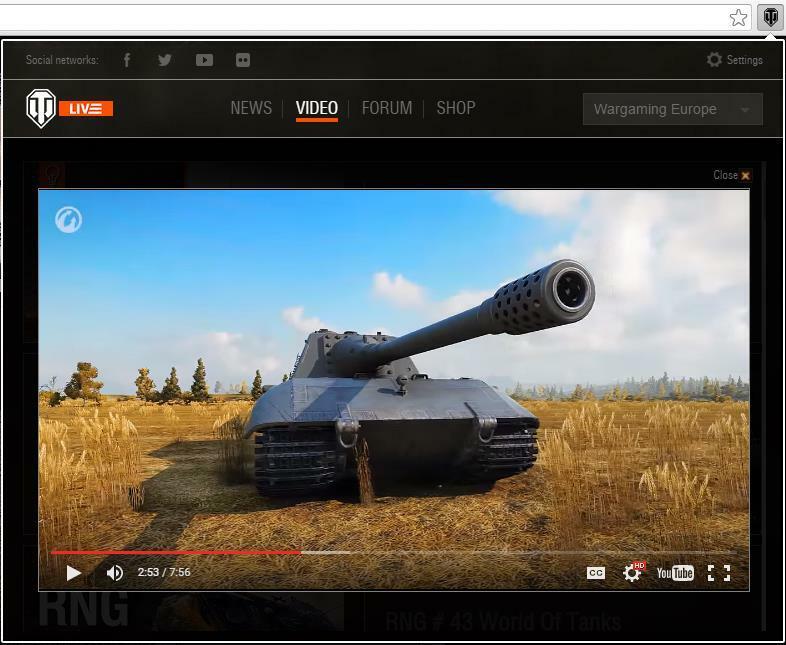 We offer you World of Tanks Live, a new extension for Google Chrome, which will be useful to every tanker! 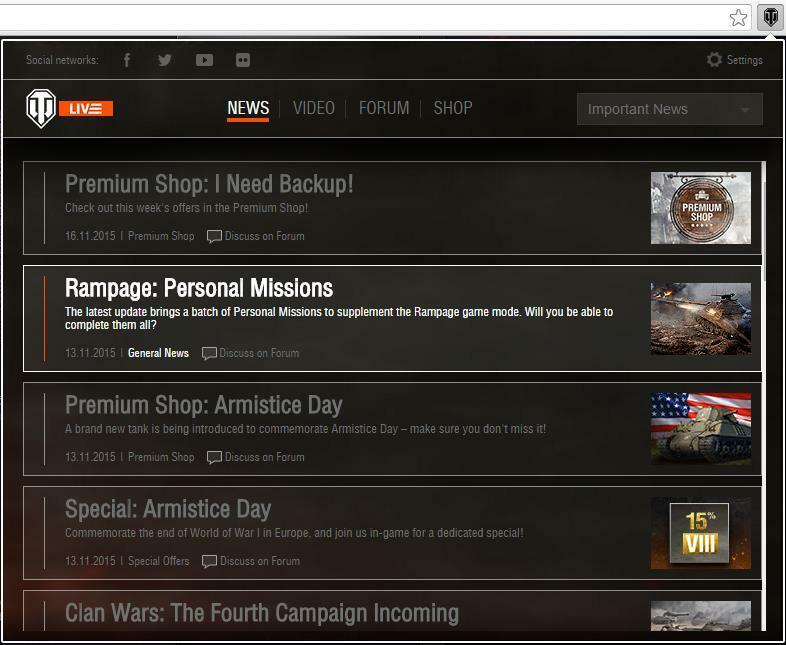 Discover what is new, watch videos, socialise and purchase Premium vehicles, all with one click from your browser. You won't have to wander the web in order to find information about the game. If you install WoT Live, you will always be ahead of the curve. A special icon in the corner of your browser will allow you to stay in the know. Click 'Add to Chrome', then click 'Add extension'. You can also find the extension in the Useful Software section. IMPORTANT: Please ensure that you select "EU" as your region. WoT Live is available in English only. If you experience any problems with the display of the extension, try to reset the page zoom according to these instructions. We will be glad to receive your feedback and comments.